Deploy a Specialist Leader into your Academy to work with a middle or senior leader to help them raise standards, improve their departments and outcomes for your students. Providing staff training on areas of SEND including ADHD. Speech and Language issues, Attachment Disorder, teenage mental health. Juliet is currently the Deputy Head in charge of Learning Support at Kemnal Technology College and designated safeguarding lead for the college. She has developed her expertise in aspects of management of SEND, Safeguarding and Wellbeing over the six years she has been in post and through her academic investigations at Canterbury University. She is committed to developing a whole school approach to supporting students who display the need for extra support. She considers teacher wellbeing as being a vital aspect of this cohesive approach. Juliet has supported two schools within the trust over an extended period of time, one secondary and one Primary. She has delivered training on Safeguarding and Attachment Disorder for the SCITT trainees. Seb is currently Director of the Performing Arts Specialism and Team leader of Expressive Arts at Debden Park High School. Previously he taught Drama for over 13 years and has been working in a whole school capacity since his appointment at Debden Park in 2006. 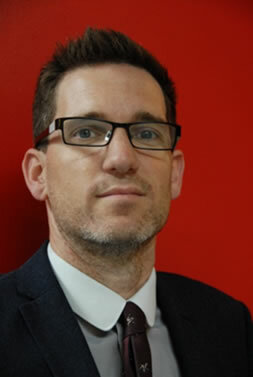 Initially using drama techniques to develop active teaching and learning with a cross-curricular approach, Seb later took more of a leadership role in whole school CPD. He then began collaborating with various schools within TKAT to deliver staff CPD modifying his sessions to cater for the requirements of the SLT and context of the individual schools. He is driven by a passion for helping young people and developing adults in equal measure and believes the two are not mutually exclusive! Collaborating with P Greendale at King Harold Academy to run twilight INSET sessions. Helping to run the in-house training Debden Minds and Debden Beacons. Seb has recently designed and delivered a whole school focus week looking at the strategy –“Teacher in role”. He managed to play over 15 characters and collaborated with every different subject area in the school in one week. He is planning to collaborate with I Tilbury in the near future on helping Teachers use active strategies to engage boys, after the annual school Christmas concert of course! Seb’s input into the process of developing teachers’ expertise across a range of pedagogical techniques has been invaluable. Moreover he is a highly effective presenter able to inspire teachers, from trainees to senior leadership and across schools who have different contexts and needs. He has a deep understanding of teaching and learning and has the skills to change teachers' practice. Seb has been fundamental to the successful collaboration between DPHS and KHA, especially in sharing best practice through active learning and using the arts with regards to teaching & learning. Seb has held mentoring/coaching sessions with staff via one to one, whole school CPD and school to school support, at both Debden Park High School and King Harold Academy. Seb always maintains a highly professional approach to his work and is able to foster positive and productive relationships with both students and staff alike. 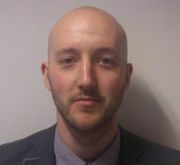 I am Assistant Head teacher at King Harold Academy and have worked here for 3 and a half years. Before moving down South, I worked at schools in Kingston upon Hull. My subject specialism is science & Leadership of T&L. I've worked in collaboration with Ian Tilbury at Debden Park to drive Teaching & Learning across both schools. I successfully led Teaching & Learning at King Harold to achieve their first ever Good judgement by Ofsted in May 2016. I have spoken about leading learning at TKAT Head teacher and Advanced Pedagogy Conferences and the Thinking Curriculum conference. I pioneered strategies now used across the trust such as Teaching & Learning on toast. I have led King Harold Academy to be known as 'The Thinking School'. Outside of work I enjoy travelling to exotic locations on holiday and non-exotic locations following my football team, Hull City. I hope to one day speak at the Festival of Education. Having been a teacher for over 20 years and HoD for 15 years +, Robin Barclay brings a wealth of knowledge to the table. He teaches Key Stage 3-5. Robin’s key area of teaching is Geography, however, he particularly enjoys the e-learning part of education becoming the Head of eLearning for CHS 10 years ago. I am a qualified Maths teacher, gaining my PGCE at Portsmouth University in 1999. Over the past 16 years, I have taught in three schools in and around the Portsmouth area. During my career, my posts of responsibility have ranged from being a Numeracy coordinator in my first school to working alongside other Heads of Maths in an advisory capacity before joining Chichester High School for Girls in 2009. In 2015 I gained my National Professional Qualification for Senior Leadership (NPSQL) and became a Vice Principal for the new Chichester High School. My current roles and responsibilities lie in the area of curriculum planning and ensuring the school curriculum meets the needs of our students; this also means I have the unenviable job of constructing the timetable for the school! Alongside these areas of responsibility, I manage and oversee the IT provision of software and systems to ensure they are fit for purpose. Julie is currently a Vice principal at Chichester High School with particular responsibility for KS3 progress, assessment and transition. She led the very successful History and Humanities Department for ten years contributing to an ‘Outstanding’ Ofsted rating in all categories for the school. Results are consistently above the national average for both Geography and History at both KS4 and KS5, and she continues to line manage both. Julie delivered the Joint Professional Day focus on History Assessment in January 2015 to TKAT History leads. She has also overseen the implementation of a new assessment system for KS3 for all subjects replacing levels at Chichester High School. She is committed to raising achievement for all students and improving the transition process between primary and secondary school. Julie supported the Humanities Department Review process at Miltoncross Academy. Claire is currently a Director of Behaviour for Learning with responsibility for behaviour in key Stage 3 and 4. Claire’s role consists of working with students, parents and staff on whole school behaviour and creating learning environments to prevent negative behaviour. In order to allow all students to achieve Claire works with Alternative Providers within the West Essex community to create individual curriculums for a select few students who due to various reasons have become disengaged from learning in the school environment. Claire also develops and trains other lead professionals within the West Essex Secondary schools on new Data systems to enable them to track student progress and attendance in line with the Ofsted’s guidelines towards Alternative Provisions. Claire works in Line with the Alternative Providers and is part of Quality Assurance for the schools with regard to the teaching and learning within each provider. A French and Spanish specialist, Elaine is Head of Modern Foreign Languages at Miltoncross School in Portsmouth and she gained SLE Accreditation in 2016. Offering a wealth of experience from leading MFL teams in previous schools and in the role of PGCE tutor, Elaine is particularly keen to share and adapt best practice across both subject areas and schools with the aim of raising standards. Elaine is a key member of the teaching and learning team at Miltoncross dedicated to providing training, support and coaching to enable teachers to deliver the highest quality experience for students in the classroom. With the experience of managing a large successful department, she has also acted as coach and mentor to other middle and aspiring leaders in school and within the local area. Elaine frequently contributes to the delivery of whole school CPD and has recently delivered sessions on Developing Independence, Taking a Risk to Provide Challenge, Demonstrating Progress, Marking and Assessment Strategies and AQA MFL GCSE. I qualified as a teacher at Canterbury Christchurch in 2007 and completed my degree in Humanities with English Literature with The Open University. Prior to entering the teaching profession, I worked in the private sector. I teach across all three key stages although I am currently Head of Key Stage 5 and take responsibility for both English Literature and English Language and Literature A levels. Prior to this, I was Key Stage 4 lead. I am also responsible for whole school literacy. My role as Key Stage 5 lead has involved creating new schemes of work based around interleaving as well as restructuring the assessment and monitoring procedures, all of which have had a significant impact on pupil outcomes. I have also delivered various CPD sessions on different aspects of the relatively new A level specifications. Previously, I have worked as a Lead Subject Tutor in English for TKAT which involved teaching and supporting trainee teachers and encouraging them to develop their subject knowledge across all three key stages. I have also worked with a local university to deliver lectures to cohorts of PGCE students. I pride myself on my subject knowledge and am really passionate about sharing with colleagues to help them to improve their practice. In my current school, I have been part of a successful mission to drive up teaching and learning standards. This has involved implementing an advanced pedagogical model and embedding Talk4Writing techniques across the curriculum. In addition to my teaching, I am also involved in raising awareness of Mental Health issues in young people and adults. I have worked with the charity, Time to Change and use their ideas and resources to plan and deliver sessions in school. My motivation for everything I do is the students. I want to help every student achieve his or her potential. I am keen to share my knowledge and expertise with, and make a difference in, other TKAT schools and hope to have a positive impact on both students and staff across the Academy Trust. Amanda is currently a Deputy Head at Front Lawn Primary Academy. She is part of a leadership team that has transformed the school into a 'good' school in just 4 terms. Amanda introduced Talk4Writing at Front Lawn and the school is now a National Talk4Writing Training Centre offering support to hundreds of schools every year. Amanda has supported teaching and learning at Portfield Primary Academy, helping the school move from ‘Requires Improvement’ to ‘Good’. She has also spent time support the English lead at Seal as well as developing the middle leader role at Front Lawn. Justyna graduated in Poland, gaining her Masters Degree in Pedagogy in the field of Integrated Primary School and Preschool Education, before moving to England in 2006. She has worked in two different multicultural schools since 2009. Since 2013, she has led an alternative provision for Newly Arrived EAL children at Drapers Mills Primary Academy. As EAL Leader she has implemented a range of teaching and learning strategies. These have improved both the progress of EAL learners and whole school ethos regarding the diverse school community. Being a bilingual teacher allows Justyna to empathise with EAL learners, their families and, most importantly, have a good understanding of their needs. Justyna runs, together TEFL trained colleague, an alternative provision for children speaking English as an additional language (Shooting Stars) at Drapers Mills Primary Academy. This has proven to be a very successful setting being praised on numerous occasions by Ofsted, DfE and other visitors. She also supports Drapers Mills’ Early Years practitioners to develop language acquisition for White British children who arrive at the school with speech and language difficulties and/or poor language skills. She has co-created the EAL teachers’ network that meets up every other term to share/ discuss best practice. She is involved in School-centred initial teacher training (SCITT) equipping aspiring teachers in essential EAL knowledge. She provides support to a number of schools/individual teachers in and outside the local area (advice via email, delivering PDMs, advising on methods of work, etc.). Kelly is currently the Deputy Head Teacher of Shenstone School, a primary special school for pupils with severe and complex learning difficulties. Shenstone School is a two-site specialist provision and Kelly is the senior leader responsible for the Sidcup site that is for pupils aged 2 – 6 years of age. She is passionate about teaching pupils at their earliest stages of their development and is committed to supporting others in ensuring that pupils with complex SEN get the best possible education, whether in mainstream or specialist provision. Kelly has a Master’s Degree in Early Years and strives to empower others to develop their knowledge, skills and confidence to be able to best support pupils who are working within the early stages of their development. Kelly has a broad range of skills and experience within early years and the special educational needs sector. This has included working within schools for pupils who have both moderate and severe learning needs. Throughout her career outreach support has always been an integral part of all roles; including working for local authorities as an Area SENCO, leading an outreach specialist service, as well as managing a behaviour support team and a Portage service within a local authority. Kelly has supported a number of local schools in helping to implement and support best practice for being able to meet complex learning needs of some pupils. This has included accurately assessing pupils’ developmental levels; identifying next steps for learning and developmental outcomes; implementing tracking systems and providing support and advice at Annual Reviews. Kelly has also supported Teaching Assistants, Teachers, Inclusion Coordinators and Head Teachers in all aspects of their understanding and implementation of EYFS and complex SEN practices. ‘Sharing Shenstone’ – Shenstone’s Outreach offer to local schools. Supporting schools to adapt the curriculum to meet individual pupil’s needs. Creating a bespoke assessment system for pupils who work below the national curriculum assessment standard. Creating a purposeful indoor and outdoor learning environment. Coaching of support staff in quality observations. Assessing areas of need and advising on appropriate action plans. Analysis of data to identify next steps in learning. Ability to deliver high quality EYFS sessions to whole class and small group. Maggie is a Specialist Leader in Education for EYFS. She has led the development of settings which has made a significant contribution to improvement in outcomes for all pupils. Maggie has built strong links with main feeder pre-schools and supported them in the improvement of their settings. She is committed to inclusive practice and working with teachers to enable students to fulfil their full potential. Maggie is Reception Leader for Weyfield Primary School. Her role involves the modelling of outstanding practice to improve the quality of teaching and learning, and consequently standards. She is responsible for raising standards in EYFS as part of whole school improvement, using coaching, mentoring and modelling techniques to develop teacher’s practice. Roxxi is currently part of the senior leadership team at Northdown Primary School with the responsibility for the wider curriculum and KS1. She has been a Year 2 lead practitioner for the past 7 years and has been instrumental in improving the end of key stage 1 outcomes so that they are at least in line with national average from significantly below average starting points. Roxxi has been a county moderator for the past 3 years and has in-depth understanding of the end of key stage 1 assessment procedures. She has experience in leading and assessing phonics programmes with in school, including facilitating the Y1 Phonics Screening Check. This has led to improving results consistently above national average. Roxxi has introduced and developed the wider curriculum in various schools, ensuring that each individual schools are met. This included implementation of a full assessment package for all foundation subjects focusing on skill progression. She has effectively worked with Literacy and Mathematics leaders to ensure that these areas are clearly embedded within the wider curriculum as well as developing subject leaders. Roxxi has raised the profile of school visits and experiences within the schools she has worked at to equip the children with the experiences necessary to develop their core skills. This has been particularly successful in areas of high deprivation. The success of the wider curriculum in these schools has been acknowledge in Ofsted reports and monitoring visits as an area of strength. Sara is currently the Inclusion Leader at Front Lawn Primary Academy. She is part of the leadership team that transformed the school into a ‘Good’ school in just four terms. Sara has supported the SENCo at Portfield Primary Academy with action planning and delivering training to TAs. She also supported the Headteacher with establishing new systems for storing information related to safeguarding. Sara has worked with a SENCo who was new to the role at Seal Primary Academy. She is also a member of the TKAT Safeguarding Steering Group. Sara was commissioned to support a school as a TA Reviewer as part of the MITA project through the EEF. As part of this project she also delivered MPTA training to a number of schools in the South of England. Ann is currently a Deputy Head at Drapers Mills Primary Academy. She is part of a leadership team that has moved the school forward from a journey of special measures back in 2015 to Good in 2018 with outstanding for Leadership and Management. Drapers Mills has a unique context in both its international make up, predominantly Eastern European pupils but also in the deprivation of the community it serves. Ann has supported staff, including leaders in school to develop the quality of teaching and learning to ensure excellent progress for these pupils. Ann has been in middle and senior leadership for a number of years across a number of schools both good and outstanding, and in all those school, being part of the journey to those outcomes. Hannah became an Advanced Skills Teacher in 2010, with a specialism in KS2 best practice and Primary Languages. She is now a Lead Practitioner and SLE for TKAT, working with SLTs and individual teachers to develop teaching and learning across schools in Thanet. She has been involved in several Ofsted, HMI and DFE inspections and was part of the team at Drapers Mills that has recent achieved a ‘good’ Ofsted grading with ‘outstanding’ for Leadership and Management. Hannah has a proven track record of using mentoring and coaching techniques to improve classroom practice as well as supporting leadership teams when implementing new, whole school initiatives. Hannah delivers quality CPD during PDMs and inset days and delivers TKAT NQT training in the East region. She is the maths Lead Subject Tutor for the TKAT SCITT Programme and writes and delivers EGPS training for KCC. Penny is currently Assistant Head and English Lead at Royal Park Primary Academy. Her motivation is centred on ensuring that all children receive an education that enables them to overcome economic and social disadvantage and allows them to make rapid progress both socially and academically. She is committed to supporting and leading colleagues to ensure that they maximise pupil achievement while developing their own professional capabilities and passion for teaching. During her time as English lead she has implement new schemes of work, programmes and assessment systems which, have had a significant impact on pupil outcomes, displayed in results across the school. Penny had led both Year 2 and Year 6 through extremely successful, external moderations where all levels were judged to be accurate. Moderators commented on the strength of coverage of writing across the curriculum and were impressed with the excellent level of Writing in book. Penny has also led whole school and TKAT cluster writing moderations. Leading English for the last 2 years has allowed Penny to make consistent judgments when analysing and interpreting both qualitative and quantitative data in order to write effective action plans to be implemented throughout the year. While she has been very fortunate to have been successful in many of her initiatives, Penny knows that there is no magic answer and the same methods will not always work. This is why hard work, perseverence and a willingness to develop and adapt are really important attributes that she values and tries to show as a SLE. Penny has recently been working with a school to raise attainment and accelerate progress in English. She has led whole school INSET days and staff meetings. Penny worked with the teachers and the English lead to improve the teaching of English and monitor the impact it was having. Penny also worked with the SLT at a school to action plan for Year 2 to set end of year targets and ensure they could be met.